Good day, Mr. Steve Ray! We have a concern regarding the many statues of Saints and Mama Mary and Jesus all over the Philippines. It seems the Filipinos are exaggerating with those statues and images. What is your say to this? 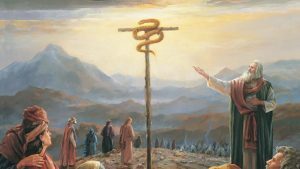 Is this against the second commandment of God that we should not make any graven image of the heaven above (or on the earth or under the earth)? Thanks for your questions and comments. I hope and expect that they’re coming from an honest heart seriously seeking the truth. 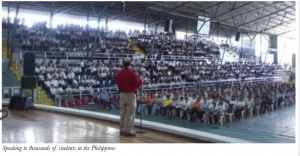 I have been to the Philippines six times doing large conferences, parish missions and talks with lots of evangelization, apologetics and Bible teaching. One of the things that I learned about the wonderful Filipino people is that they are easily susceptible to Protestant groups (mainly from the United States) who come there and try to trick Catholics into leaving the Catholic Church. The whole issue of “idols“ is one of their trickiest methods. Read my Open Letter to the Filipino People. 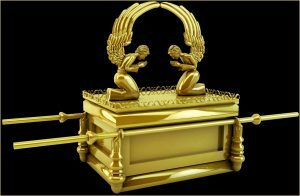 First, I would suggest you write God a letter and ask him why he commanded the Israelites to violate the 2nd Commandment. You can see this clearly here (Exodus 25:18-20) and here (Numbers 21:8-9). Second, I would suggest you read the Catechism of the Catholic Church carefully on this topic. Read especially paragraphs 2129-2132. It’s a very dangerous thing to give false testimony about the Church that Jesus started 2000 years ago and has always been named “Catholic.” Those who say we worship statues are certainly bearing false witness. Steve Ray talks about Mother Mary on DZMM this Sunday July 18, 8:30 pm. You can listen to him on radio, or you can watch him on DZMM Teleradyo on Skycable or you can watch the video stream live at http://www.facebook.com/l/c7daeTTe-FtAdrTeQ9uNkerYPjw;www.dzmm.com.ph/dzmm-stream.html . Just posted a new Running trip, “2010-07-18 Davao Wakes Up”, to EveryTrail. Check it out here: http://bit.ly/9j2JQZ It was great seeing all these smiling people in this Catholic nation. I hope you enjoy the pictures! Typhoon hitting the Philippines with 70+ mile winds. My talk tomorrow is already canceled. This is very interesting. All the power just went out. Very dark. Wind is strong. Everything is shaking. This is quite exciting!! We trust the Lord. Gave talk on Paul and the priesthood to seminarians and priests. Now at Green Hills Mall Church (yes, in a huge mall) to talk on Peter and the Catholic Church. Great folks!! More soon with pictures. This has gone around the world many times but for those who’ve not read it, here it is for your edification. https://www.catholicconvert.com/documents/FilipinoPeople.pdf If you are unable to open the file I posted the whole letter below in the comments.